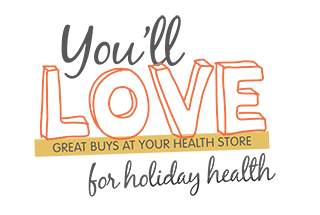 This month in Your Healthy Living we tackle the topic of holiday health: from sunburn to jetlag, we have expert tips to cover any eventuality. 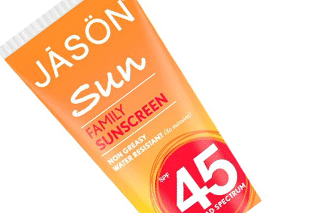 Have you tried these great buys for summer and holiday health? 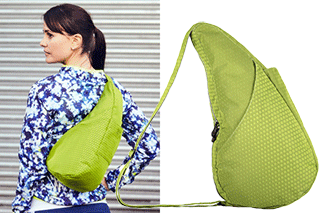 This fabulous Circular Motion Healthy Back Bag is designed to distribute weight asymmetrically, meaning it’s comfortable for all shapes and sizes, and perfect for healthy lifestyles. The bag's fresh citrus green patterned fabric is cut differently for each bag so each one's unique. Whether you're walking the dog or off for a jog, this bag will keep valuables safe and sound and when worn across the back ensures you can move around hands-free. 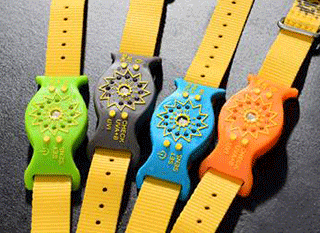 The result of a collaboration between a bag designer, doctor and chiropractor and created to combat the problems that can be caused by a one-strap bag, they're kind to the spine and, of course, look fab. The unique teardrop shape is designed to contour to the spine, reducing stress on the neck and shoulders and can be worn on either shoulder or cross body. 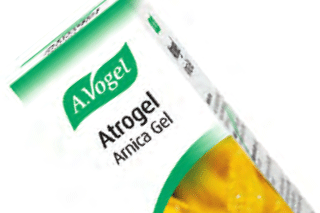 A.Vogel Atrogel Arnica Gel is a traditional herbal medicinal product made from extracts of fresh arnica flowers. It's traditionally used in the symptomatic relief of muscular aches, pains and stiffness, sprains, bruises and swelling after contusions, exclusively based upon long-standing use as a traditional remedy. It's non-greasy and easy to apply. Always read the leaflet.